While making this Crazy Patch Pillow, you will learn Machine Embroidery and Crazy Patch Applique. Debbie will teach you what batting to use, how to hoop and how to properly stabilize. 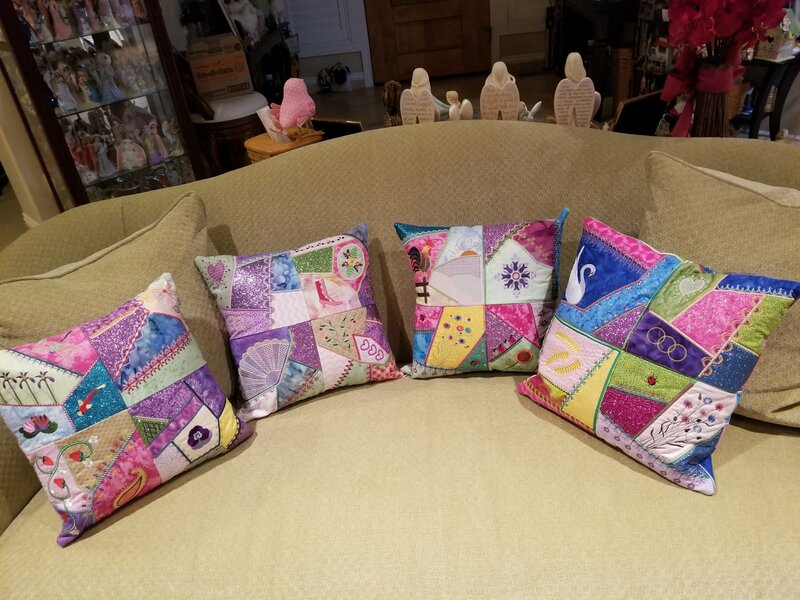 Then she will discuss how to put your crazy patch blocks together to make your pillow: that will include squaring up your blocks and adding a zipper. Must own a Embroidery Machine with a 5x7 hoop or larger and have basic knowledge of how to operate the machine. Price includes instruction only. Embroidery design must be purchased directly from Molly Mine.